That was the message from Marc Bergevin to the Montreal Canadiens in September, prior to the commencement of his club’s 2013-14 regular season. For the most part, and thanks in large part to a strong leadership core and an experienced coaching staff captained by Michel Therrien, all on-ice personnel complied with their general manager’s instruction. Had they not complied, I am hard-pressed to believe “Le Tricolore” would have overcame a delicate tailspin of losses in December that had them on the wrong side of lopsided games (6-0 vs KINGS, 5-1 vs BLUES and 5-0 vs CAPITALS). Had they not complied, I’m not sure we would have seen this team embrace the uphill challenge that had them facing elimination in games 6 and 7 against the Boston Bruins in the second round of the playoffs. Following a tumultuous 2013-14 hockey season that saw the Montreal Canadiens continuously bouncing back when poor performances, or an adverse stretch of games would rear their ugly heads, I have selected five moments (let’s call them “turning points”) that I believe set the stage for their lengthy run toward Lord Stanley’s coveted mug. After brutal starts to the season that saw David Desharnais recording just 1 assist through his first 19 games, and Max Pacioretty recording just 4 points in his first 12 games, Habs fans [including Montreal Mayor, Denis Cordere] elected to give up on them. Meanwhile, inside the Canadiens dressing room, that was far from the case. The team rallied around these two players, and once both of them started producing, neither one looked back. Coming off a difficult stretch of games at the end of December and in the first week of January, the Canadiens defeated the defending Cup Champs on home ice by a score of 2-1. In what was clearly a “measuring stick game” at the time, this game had a “playoff feel” to it. Winning this tight checking game in overtime provided the Habs with confidence, and set the stage for other big performances against “top opponents” during the second half of the season. Not only is it an honor to represent your country at the Olympics, but when you are surrounded with the best of the best, you gain inspiration and you learn to comport yourself like a winner. Not only did Carey Price and P.K. 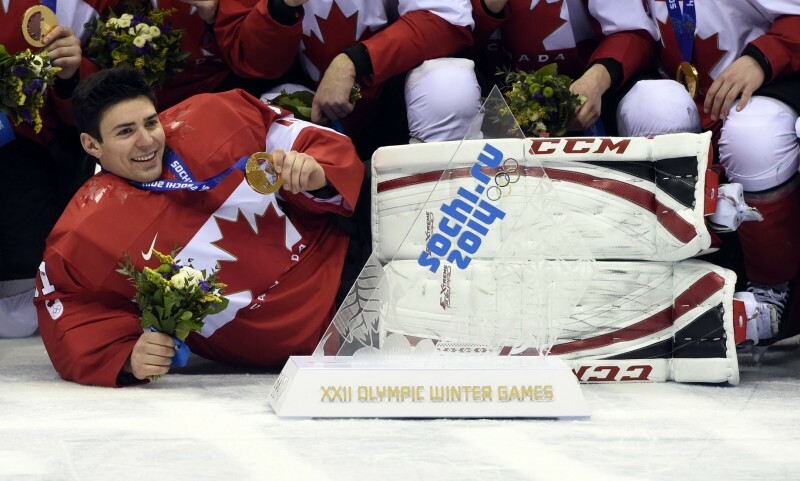 Subban return from the Sochi Olympics with Gold Medals, the pair returned with a hunger to keep on winning. 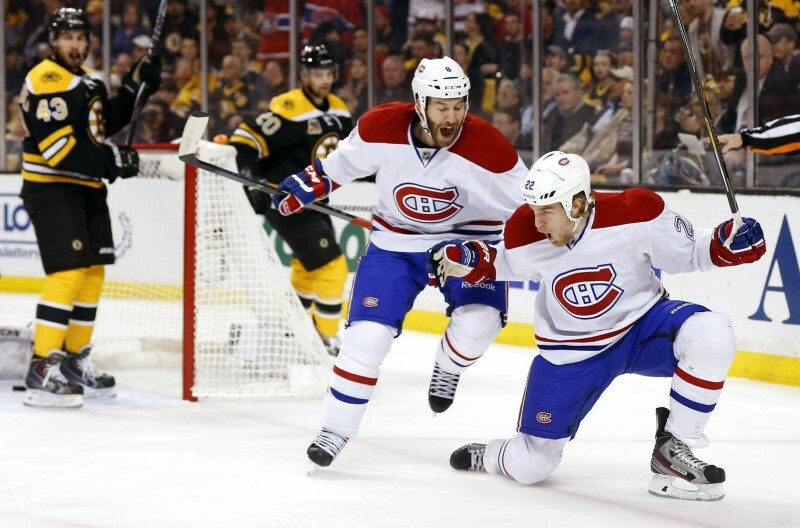 I believe that upon their return to Montreal, these experiences brought unity into the Habs dressing room. After his team battled through adversity all season long [more often than not responding positively under arduous circumstances], Marc Bergevin shocked the hockey world by acquiring arguably the biggest available fish that was available on the trade market. Despite being ineffective against the New York Rangers in round number 3 of the Stanley Cup playoffs, at the time the Vanek acquisition represented a vote of confidence from the general manager to his players. This move inspired the Montreal Canadiens in every possible way, and for a while, all four forward lines benefited [directly and indirectly] upon Vanek’s arrival. It should be noted that while the trade to bring in Thomas Vanek received the most attention at the time, it is arguable that the subtle additions of Mike Weaver and Dale Weise actually paid more dividends down the stretch. Saturday March 15th – After a tough couple of games on the west coast, and a playoff spot not yet assured, the Canadiens found themselves down 4-1 with 3:22 to go in the 3rd period against the Ottawa Senators. The Habs rallied to tie the game as David Desharnais scored with a mere 0.03 seconds to go. Francis Bouillon scored the winning goal in overtime to complete the improbable comeback. Many close to the Canadiens will point to this comeback and say that it was the most significant turning point leading them into the playoffs. On April 4th in Ottawa, the Canadiens would erase another 3-goal deficit against the Senators en route to a 7-4 victory. Unfortunately, the sad reality is that only one organization is truly satisfied when all is said and done at the end of every hockey season. That’s not just a cliché. It is a reality. So amidst the jubilation felt by the New York Rangers and their fans at Madison Square Garden when time expired on the Eastern Conference Final on Thursday night, the Montreal Canadiens players, coaches, executives, and fans could only watch as they felt feelings of devastation and regret. That is only normal. As Habs management and players get back to the drawing board this summer (that board will likely be in an office at the Bell Sports Complex in Brossard, or in the gym of an offseason home), all members of the organization will be pushing to achieve hockey’s ultimate prize in 2014-15. Believe me, as much as the players talk about this year’s playoff run being positive in every which way (and it was), they all realize that they missed out on a glorious opportunity. But despite failing to attain their goal this year, let me remind you that there are a plethora of reasons why every Montreal Canadiens fan in the world should be smiling from ear to ear preceding their team’s trip to a second conference final in five seasons. Reason 4: You’re just a fan without an ability to influence the outcome of games. So might as well just sit back, smile, and look forward to next season. There you have it, folks. The core pieces that make up your Montreal Canadiens are not simply good: they are young, and VERY good. The window for winning a championship is just beginning to open, and there is reason to believe that this core will only improve moving forward. Having been educated by the Chicago Blackhawks organization, under the tutelage of Stan and Scotty Bowman, Habs GM Marc Bergevin is following the very same model (drafting and developing properly) that has put the Blackhawks in a position to contend for the Stanley Cup every single year. 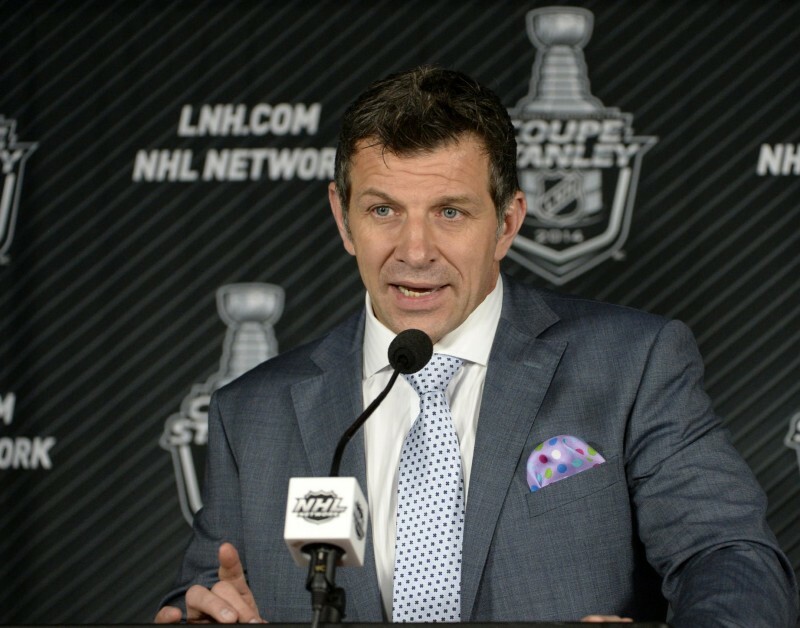 Marc Bergevin was not hired by the Montreal Canadiens to build a team that could have one or two cracks at winning the Stanley Cup. Instead, his mandate is to put the Canadiens organization in a position to have success year in and year out, an expectation that was a norm when Sam Pollock was in his position some 40 years ago. With the seven players mentioned above, I believe the Canadiens are well on their way to solidifying this desired foundation. 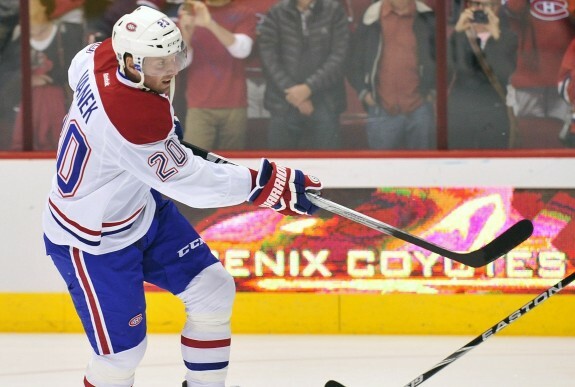 Naturally there might very well be some more growing pains along the way, and with expectation levels surely to increase going into next year, there is always a chance that a team in Montreal’s situation could take a step backwards. However, I believe the art of winning is something that is learned via trial and error. As they did during this year’s regular season and playoffs, the Canadiens players usually responded the right way and with the right attitude whenever their backs were against the wall. Similarly, if this year’s experience of “falling short” is used positively and constructively moving forward, the Habs could be a dangerous animal once again next season. I’m not going to put a timetable on this, nor will I cushion the following with a “guarantee” (nothing is ever guaranteed in sport and in life), but when you’ve been a winner in hockey the way Carey Price and P.K. Subban have been throughout their lives, I believe it’s only a matter of time until you crack the code at the NHL level. More often than not, winners find a way to win. That is why they hold such a reputation. The road to getting there might be longer and bumpier than it was (or will be) for other stars, but if you are a winner, usually you find a way. I believe the Montreal Canadiens will win their 25th Stanley Cup soon, and when it is won, Carey Price and P.K. Subban will be front and center.